A Grade II Shepreth Property Extension. With Grade II listed status, adding an extension to this Shepreth property was not going to be straightforward. As a stunning example of an English thatched cottage, planning permission was required before any work could be undertaken. The challenge with any project like this is to balance the needs of the owners with the planning authority guidelines. 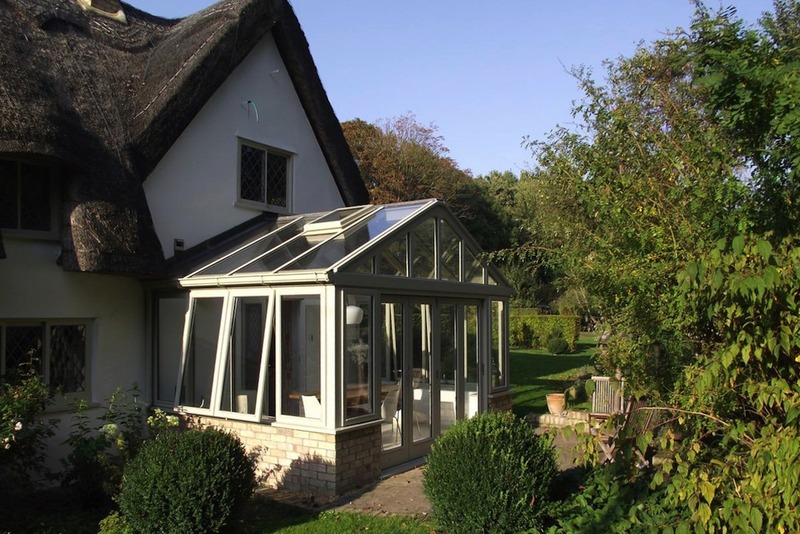 All the windows in the home were wooden so it make sense, and was a requirement of the planners, to start by designing a timber framed extension that would fit the required footprint. Thatched cottages are fundamentally simple buildings with very little ornamentation. Their most impressive features are of course the thatched roof itself and the large wooden beams which form the core structure and can be seen throughout the interior. So we kept the design of the conservatory simple too. 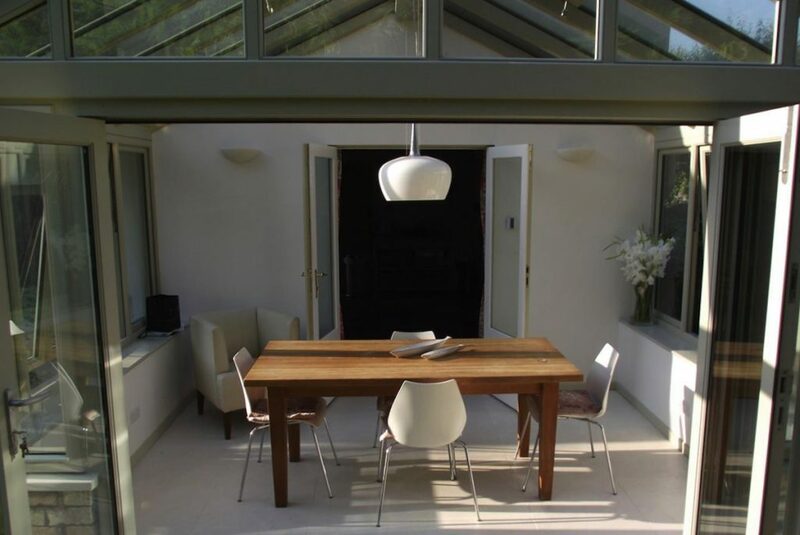 We used all natural materials; brick, wood and glass which provided continuity from the original house to the new extension. 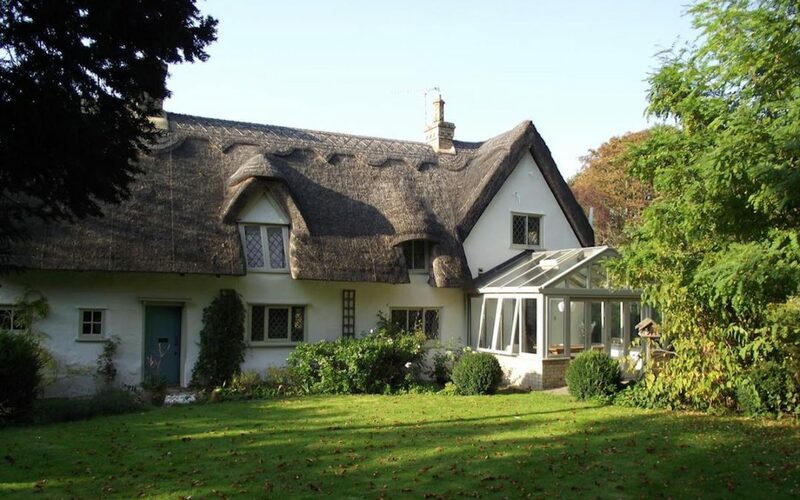 Using a traditional gable end design allowed us to match the shape of the thatched cottage’s roof. With a brick base and full height windows there is minimum of lines to impact the simplicity. The roof lines and window lines match perfectly continuing the clean uncluttered feel which was so important in terms of working with the planners. Roof windows were added for ventilation and folding doors added to open the conservatory to the garden. 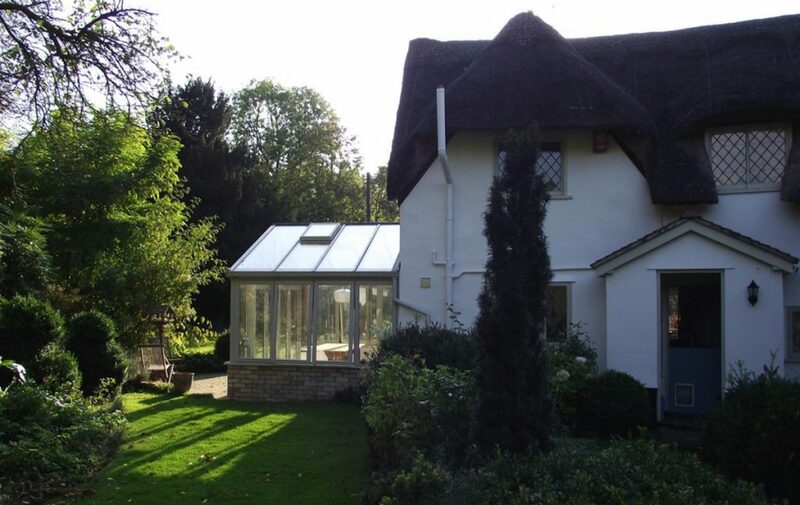 The overall height was designed to sit snugly under the single window in the end gable of the Shepreth thatched cottage without compromising the facade. Working with the planners took some doing and we needed to make some alterations to the original design to get approval. But in the end, both the planners and the owners of this wonderful Shepreth Grade II property were happy. And we think it looks just amazing!